Traditional interface designs use a point-to-point interface whereby each information system directly interacts with each other system. The point-to-point integration strategy does not scale well as new interfaces are required every time a new system needs to be integrated. Managers and IT have understood the value of using a canonical model as a neutral data format to facilitate product data integration. When each system is able to process the same canonical model, data integration becomes easier. Canonical models shall be well thought and designed to cover the data domains of the organization. Better then is to use a standard data model, since it is often the results of years of work of domain experts and it permits to solve data integration not only within the enterprise, but also in the extended enterprise, that is among partners, customers, or suppliers. 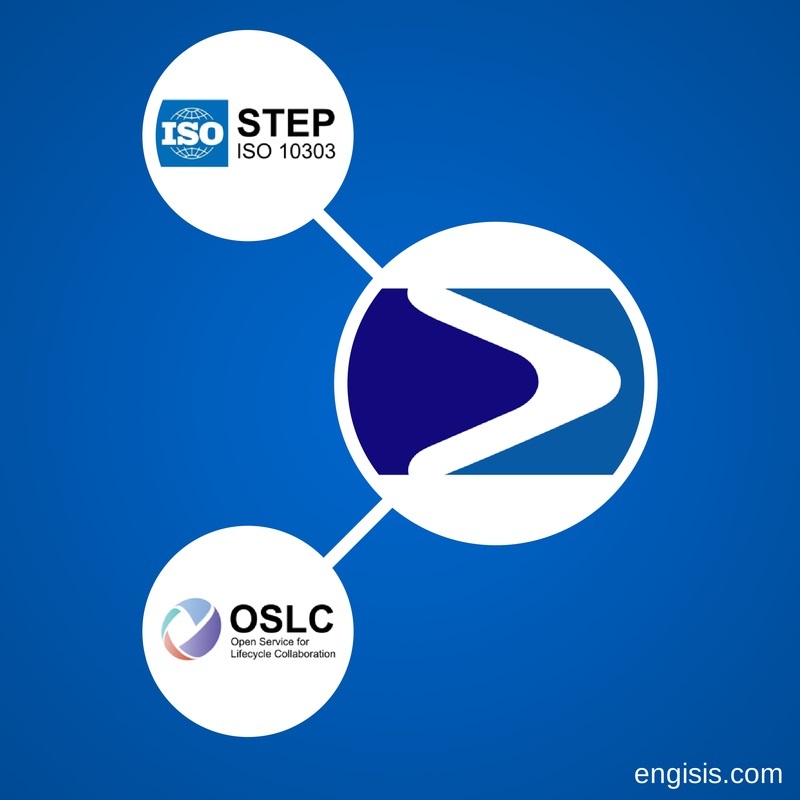 The standards for the representation and the exchange of product data ISO 10303 (STEP) are a set of information models developed by experts of industrial domains like Model-based 3D engineering, Engineering analysis, Systems engineering, Material properties, and Product Life Cycle Support (PLCS). The STEP standards have based the interoperability mechanisms on file exchange, through the Parts 21, 28, and 26. File exchanges are great for large business collaboration between companies. It protects data confidentiality, it restricts the scope of the data, and it can even be used as legal for contracting. However, a file-based exchange mechanism does not cover certain business cases. For example when data need to be accessed in real time or when systems need to communicate with other systems. Middleware like Enterprise Service Bus (ESB), or shared repository, or hub (however you want to call them) were introduced to answer these specific business cases, but they ended up being new systems to setup, very complex to deploy, and hard to maintain. SOA and REST API have proven to be solid technology to achieve integration. They are used by the largest players of the Web. Since 2008, the Open Services for Lifecycle Collaboration (OSLC) community has been developing open specifications to improve integration by using Linked Data. Product data remain in their original systems and they are exposed as Linked Data by service providers. A “contract” specifies how to access the data. OSLC also provides specifications on how to combine data and services. The specifications follow the W3C Linked Data Platform. Finally, reference implementations are available (Eclipse Lyo, Apache Marmotta). By combining STEP and Linked Data, we have found a solution for interoperability that is simple, open, flexible, replicable, scalable, and secure. In particular, we have capitalized our knowledge on semantic technology and STEP (OntoSTEP) developed in 2009 to successfully show a Proof-of-Concept with the U.S. Marine Corps using PLCS and OSLC in 2013.
services are supported by standards committee like W3C, OASIS, OSLC.